Despite the historic structure of the stadium, the club has made an incredible amount of progress at Anfield over the past five years by listening to fans with disabilities and developing the areas that are important to them. LFC were recently ranked the top Premier League club in the VisitFootball accessibility assessment, which looks at the experience and service provided to disabled supporters, for the fourth year running. The club has now committed to these new plans by working closely with the official Supporters' Committee and Liverpool Disabled Supporters Association (LDSA). The redevelopment work will increase the number of wheelchair bays from 195 to over 250 positions, and add over 150 extra amenity and easy access seats around Anfield Stadium. The works include substantial improvements for away disabled supporters, who for the first time will be seated in the away section. The structural improvements will also include creating new lift shafts, removing structural walls, recasting ramps to more accessible gradients and converting lounge space into raised disabled seating areas. As a result of these plans, 1,000 general admission seats will be displaced, and the club is committed to mitigating the seat loss as well as working with those season ticket holders who are impacted to find an alternative seat. Andrew Parkinson, operations director at LFC, said: “As a football club, we have a long-standing commitment to supporting our disabled fans and making changes to the stadium to improve their matchday experience. “Over the past five years, we have made an incredible amount of progress by working with our disabled fans to listen and understand the areas that need improvements that are important to them. “The LDSA and Supporters' Committee are fully supportive of our planned approach and the progress that's been made recently. This latest redevelopment work means further significant construction is planned at Anfield this year and we are working with the city's licencing and planning teams to ratify the proposals. 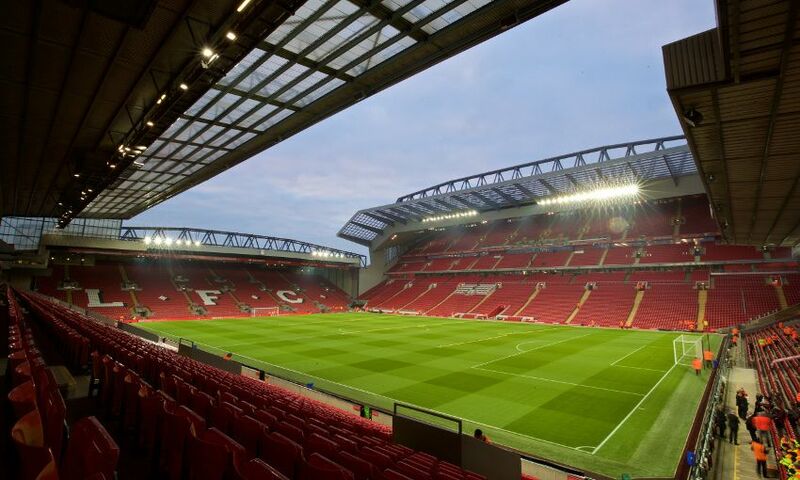 “Making these further developments this summer will see Anfield Stadium achieving the required number of wheelchair positions as stated in the Accessible Stadia Guide. On behalf of Liverpool's disabled supporters, Keith Graham, chair of the Liverpool Disabled Supporters Association, and Katie Price, disabled supporters representative on the Supporters' Committee, said: “The Liverpool Disabled Supporters Association and Supporters' Committee are pleased to see the official confirmation of the plans to increase the provision for disabled supporters at Anfield. “The proposed work is the culmination of many years of dialogue. We have always advocated the need for increased accessibility at Anfield, for all disabled supporters, in order to meet the recommended requirements of the Accessible Stadia Guide. The majority of the construction work is planned to be carried out during the 12-week close season in the summer and is expected to be completed by the start of the 2017-18 campaign.